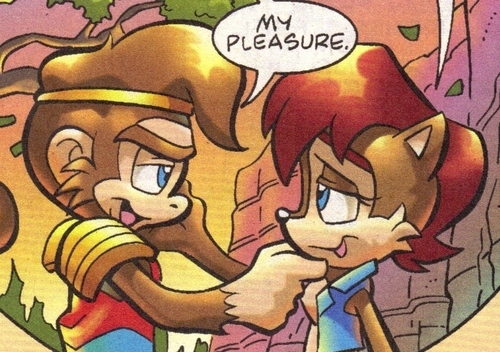 Monkey Kahn and Sally Acorn. . HD Wallpaper and background images in the SONIC COUPLES club tagged: sally couples ken monkey. this is a WAY better couple than Sonic X Sally! I mean really? 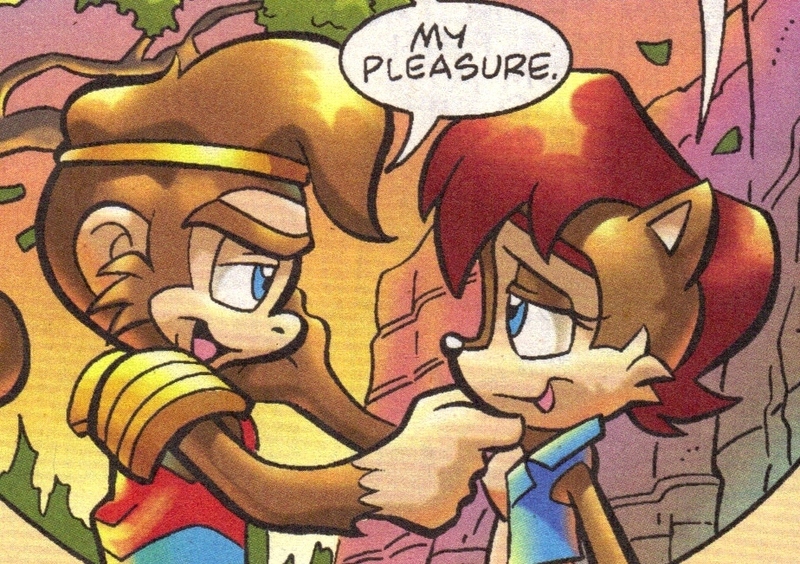 Sonic doesn't even realize how much Amy really cares for him, and we expect him to notice how Sally likes him? This is better because he actually notices her!